After spending 32 hours in the recent CQWW WPX CW contest I was a bit discouraged as I finished the contest with 700 contacts, only to dissect the log file using SH5 when I hit upon many reasons why I did not achieve my goals. Even though I was frustrated, the contest was a success on some levels, as I wrote since I bettered my 2010 totals of final score, contacts and prefixes. On that level it was a success, but I wanted the opinion of another contester to give me advice, something the software program couldn’t accomplish. I decided to contact Hank, W6SX who lives up in Mammoth and by his admission he doesn’t have the best set up, nor is very competitive when it comes to contesting. While his experience is measured years, he is much more fluent in decoding CW than I believe I am. After some discussion and comparison of our logs he provided some insight that I had not considered. First and probably the most important was the lack of time I put into 40M. The low bands are the higher point bands in WPX and it was evident I did not spend enough time on 40/80M to make a dent into the totals I wanted to achieve. Part of the problem was staying awake into Saturday morning, but the other part of the equation was waking up 1-2 hours too late after a 4 hour nap. It was my hope to work 16 hours straight, but that didn’t happen. Needless to say conditions on Saturday night into Sunday morning were not as good as the previous day and unfortunately I missed many of the 6 point JA contacts. After the first day, Hank said he only had about 500 contacts, similar to where I was after my first full day of contesting. Unfortunately with the sun going down, I faded and hank was able to collect further points. Why? Because of how we operated. Hank ran high power (1500w) and used the Reverse Beacon Network (RBN), I on the other hand, shooting for wallpaper (another term of an award) decided to run low power (100w) and unassisted, not getting the luxury the RBN or cluster, which I felt provided me the best opportunity at winning at least my call district. Something that cannot be replaced is experience. I enjoy working CW and know Morse code, but I am still working on improving my skills. This is like many other skills, which if going unused might take some time to get back up to speed. During contests many exchanges are down at 25-30 WPM, sometimes at a fast rate. My feeling is I might struggle at trying to decode call signs at 25-30 WPM during a contest, thus part of the reason I don’t try to run a frequency and decide to search and pounce all my contacts, like I did in WPX. The other suggestions I was given, was to use some of the upcoming summer contests as practice. He said the ARRL Field Day was a great event to use, while not an “official” contest, stations on the air will run all modes. This would allow me a chance to get on the air when many stations are participating in this event and probably be able to strength my CW skills without the worry of my performance. The second suggest was to download and install Morse Runner, which is a program that simulates a contest. After initially setting it up, you can start the program different modes from pileup to one call at a time, which improves your receiving and typing skills. Unlike myself, Hank uses this to work on while typing, but felt it would help improve my ear and decoding call signs. His last piece of information was to set a goal to work the IARU HF World Championship that take place July 14-15. He believes 1000 QSOs is a possible goal, much like WPX was. The difference in this contest is that you are able to work CW and SSB contacts on all bands, which means that activity should be higher than it was in WPX. So between now until the start of this contest I will look to improve my skills, my goal being to improve my CW count for the 2012 CQP. I only made 41 contacts using CW last year and most all of those were calling other stations, not having those stations answer my CQ calls. Looking over the 3830 submitted scores, there could be quite a few scoring records shattered during WPX this past weekend. While I didn’t set any record worth noting, I did set personal records for the number of hours I worked in a contest (32 hours) and the number of contacts (703). Overall I had a great time, but still have much to learn and experience. Interesting to read a few comments in support of RBN or the Reverse Beacon Network. Personally, I haven’t used it during a contest, but have sent a ‘CQ TEST’ at various times to see where was signal was being heard. Couple this with spotting capability using DX clusters and technology seems to be setting the pace when it comes to “assistance” during a contest. Personally, I am not sure where I fall when it comes to assisted versus non-assisted. When I first bought a HF radio and I wanted to run assisted to help me find contacts. When I acquired my first amplifier I wanted to run high power so I could be heard. Now, three years later I find myself entering contests running low power and unassisted. Unlike many of my elders I don’t remember the days of ham radio gone by where logging meant writing each contest QSO down. Logging checking was going through the log in search of dupes (duplicate calls) before mailing your results in. These days software and e-mail make results nearly instantaneous! There seems to be a lure, for me, in running low power and unassisted. First I don’t end up chasing spots on the band map. Many times in the past this has been erroneous information passed on in the form of an incorrect or incomplete call sign. Other times I arrive at the frequency of the spot and there is a massive pile up, one that I am not a willing participate in running low power. This combination also provides me the best chance at achieving an award, even if it’s only for the 6th call district. Contesting for me is more about setting and achieving my personal goals and improving my operating skills. Now that I have seen how I did this past weekend compared to 2010 I will look at further my score next year when WPX rolls around. 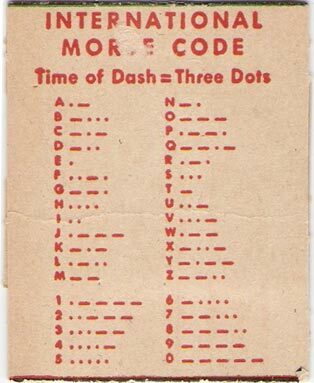 First and foremost, as I wrote about yesterday building confidence in Morse code and copying to allow myself the opportunity to run a frequency as opposed to searching and pouncing for 32 hours. This is the key to increasing the number of contacts I make and will lead to an improved score. I am still sifting through the call signs, entering them into my logbook and uploading to eQSL and Logbook of the World. Some quick numbers I worked 68 countries and 41 states. No real surprise that 53.6% of my contacts were from North American, but surprisingly 24.9 came from Europe, while Asia was 11.8%. Out of my 703 contacts I worked NR6O and KH6LC on 5 bands and HK1NA, JE1ZWT, KC7V, KL7RA, KY0W, NR4M AND VE7UF on 4 bands. I feel like I am sitting in traffic and not going nowhere quick. That is how I compare the past 5 hours I have operated in the CQWW WPX CW Contest. This time yesterday I was putting up some good numbers, but the sun, being unpredictable has thrown a wrench into my plans. While my time should be better spent in front of the radio, which is where I am currently sitting I have modified my goals a few times since yesterday. Hell, a few times since this morning for that matter. I am hoping to break 500,000 points as a final score. Currently I am just over 465,000 points. Typically I would say this would be a snap to get with the scoring being weighed in my favor. Unfortunately the solar conditions have taken a turn for the worst and I have one band to work, that’s 15M. I continue to spin my dial and listen to stations I have already worked and logged. Right now I am making contact with maybe 10 stations an hour. Talking about dreadful! Still it beats being at work. Maybe things will pick up as the afternoon rolls on. Although I expect I will have a challenging time with these last 35,000 points I am chasing. I will provide a complete synopsis at the conclusion of the contest.